If the mid-term elections have you worried, don’t lose heart. The fight for social justice will continue, regardless who gets elected. Not everyone can hold office, participate safely in rallies or marches, or enjoy the right to vote—but we can all give. In fact, we need to–the social justice movement needs our money! Learning about injustice and pushing ourselves and others to take action is essential, but no movement is successful without financial resources. Whether you have $20 or $20,000 to donate in the next year, your dollars matter. 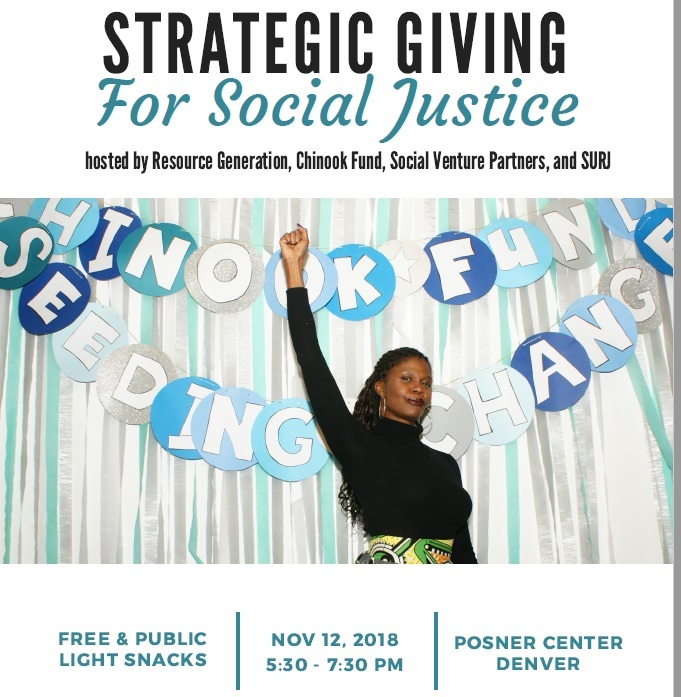 Join Chinook Fund and our community partners for a special public workshop, Strategic Giving for Social Justice, and learn how you can make sure your charitable dollars have the greatest impact. 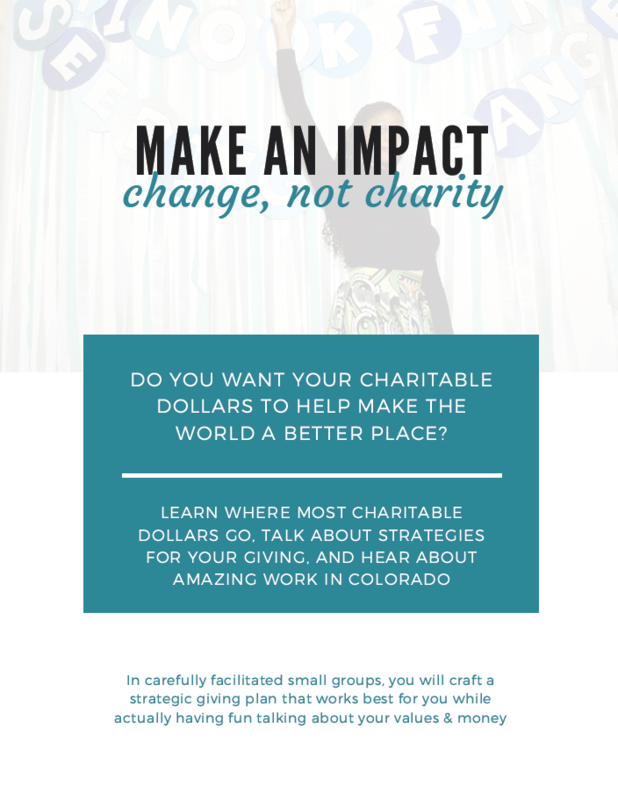 Join us for a quick orientation into where national charitable dollars are actually going, talk about strategies for planning your giving, and learn more about amazing work in our state. You’ll also get to hear from some of our community partners who are also working to move resources for social justice. Free and open to the public—spaces are limited so RSVP early. Resource Generation organizes young people with wealth and class privilege to become transformative leaders working towards the equitable distribution of wealth, land, and power. Social Venture Partners cultivates effective philanthropists, strengthens nonprofits, and invests in collaborative solutions – building powerful relationships to tackle our community’s challenges. SURJ Denver is a local chapter of a national network of groups and individuals organizing white people for racial justice.